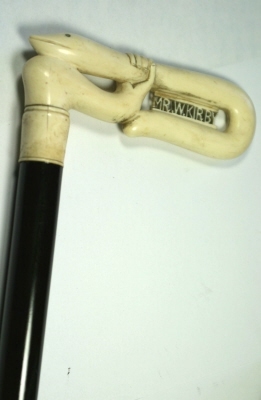 Victorian ivory carved hand and snake handle with pierced name for Mr W.Kirby. The study mounted on the exotic wood Coromandel. The base of the cane finished with base bone ferrule. Very good original condition, free from breaks or cracks, yet showing appropriate wear for age.